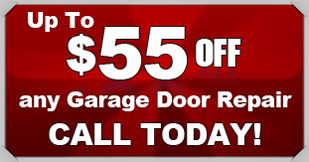 For 30 years, the experts with Action Garage Door have provided the best garage door repair in Boerne. We are passionate about not just meeting our customers’ expectations, but exceeding them as well. When you choose us for your repair you’ll be able to do so with complete confidence. When we come to your home or business, you can rest assured we’ll take care of your job right the first time. Our family-owned business was formed in 1984 on a foundation of total integrity and a commitment to customer service. That philosophy hasn’t changed one bit and never will. We’ve served thousands customers throughout the area over the last three decades, providing around-the-clock repairs for all types of emergencies. If your project should require permits to be pulled, we’ll take care of it so you don’t need to deal with the hassle. And all of our products will stand up to all types of weather conditions. All of our employees are thoroughly screened so you can rest assured you will be safe and secure. And since our staff members have several years of combined experienced, you know we’ll have the knowledge and skills necessary to handle your repair. We install a wide range of openers, and we fix problems with tracking, cables, springs and much more. We will work closely to go over all of your available options and make sure that your new door fits your residential or commercial property perfectly. We won’t be happy until we are 100 percent certain that you are. We will do whatever it takes to be the company that you think of first when it comes to Boerne garage door repair. Let us show you why so many people have put their trust in us – contact us online so that we can provide you with the best garage door repair in Boerne.